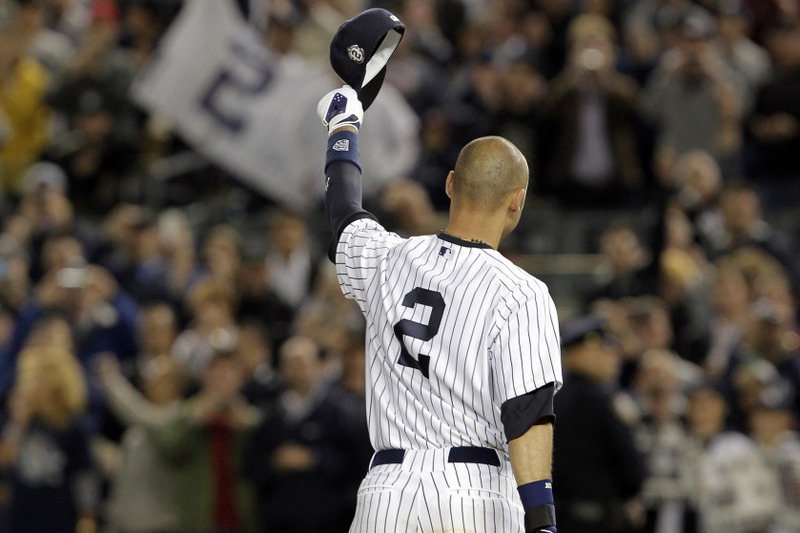 Jeter’s Last Act as Captain America? Derek Jeter grew up on the national stage. Next Tuesday could be his final performance there. 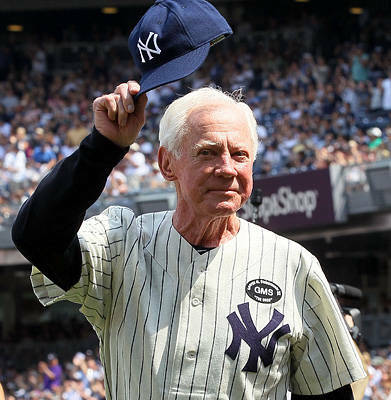 Prior to 2014, his Yankees teams have made the playoffs in 17 of his 19 years in the league. They have won 7 American League Pennants and 5 World Series. During that time, Jeter has methodically built his name, his brand, his reputation, and his legacy as one of the most clutch and consistent winners in sports history. An October Staple, Will Jeter Get Another Shot in 2014? As this season’s pinstriped pieces continue to crumble around the 40 year-old shortstop, so do his chances of adding more postseason success to his remarkable resume. 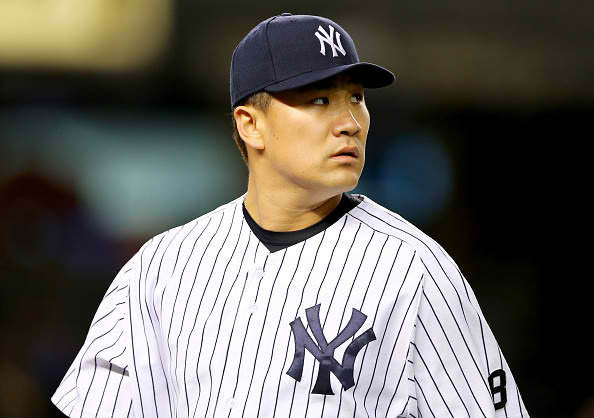 Injuries have decimated his teammates, claiming 4/5 of the Yankees pitching rotation, and forcing key position players to miss considerable time. Once a right of passage for The Captain, his place in October is not guaranteed this year. For that reason, his appearance at this year’s All-Star Game, the 14th of his career, could be America’s last real opportunity to say goodbye to the future Hall-of-Famer. At times, those who follow Jeter on a regular basis thought he might play forever. His youthful appearance, consistent demeanor, and will to win have never waivered. He’s kept us all feeling young, even as he got old. 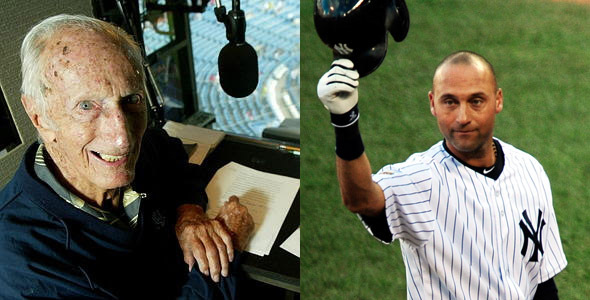 There was a time, in the late 90s, Jeter had a legitimate shot to catch Yogi, and match his ten rings. If the Yankees miss the playoffs for only the third time in the last twenty seasons, Jeter’s title count will be permanently frozen at five. 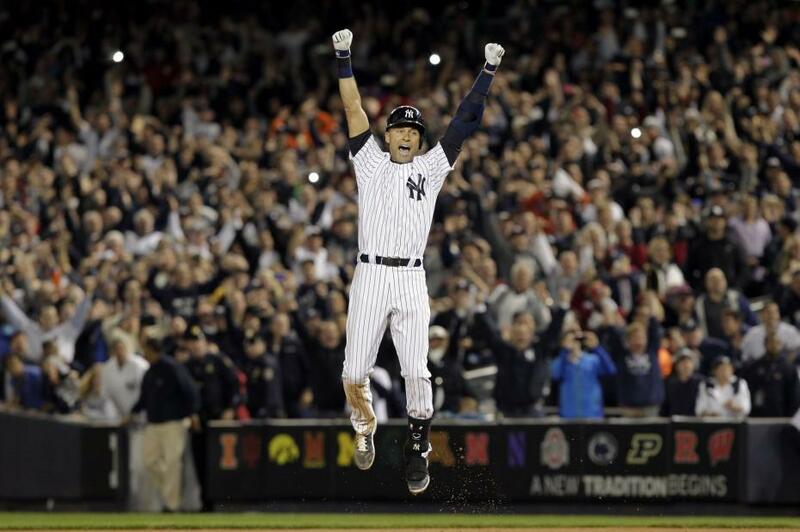 If there are no more postseason evenings in Jeter’s future, there will also be no more legendary flips, dives, or signature jump throws. We will have seen the last of his October heroics and his November home runs. Never again, will we witness a Pennant clinching fist pump or a World Series clinching, arms raised, leap into baseball lore. Typically a meaningless sports charade, Tuesday’s All-Star game becomes must-see-TV, if, in fact, it’s Jeter’s last appearance in the national spotlight. A sport, and an entire country, will get a final opportunity to honor one of the game’s most respected ambassadors. Derek Jeter grew up on that national stage. 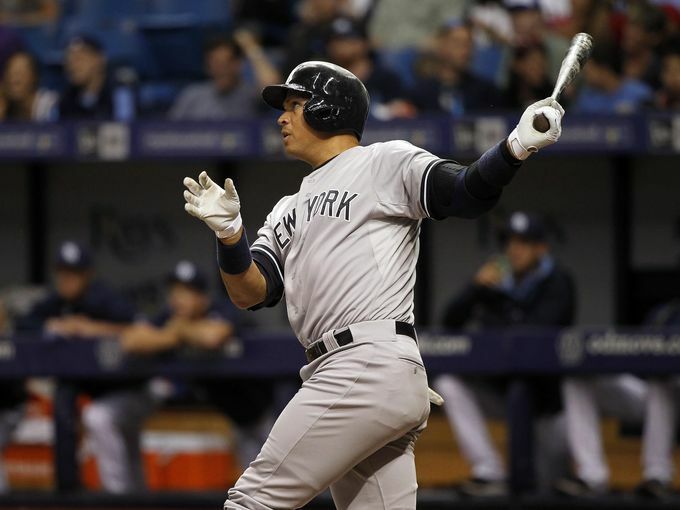 Can he rally his ailing Yankees towards another playoff run? If not, the All-Star Game could be his last performance before the entire country. The Kentucky Derby, Whitey Ford & Me. I watched the Kentucky Derby with Whitey Ford. It was just the two of us. Well, not really, but it sure seemed that way. It was May of 2005, and I was at a charity event in Scarsdale, NY. Brandon Steiner, CEO of Steiner Sports Marketing, had put the affair together at his home, and had attracted a group of former Yankees that would rival any Old Timer’s Day in the Bronx. 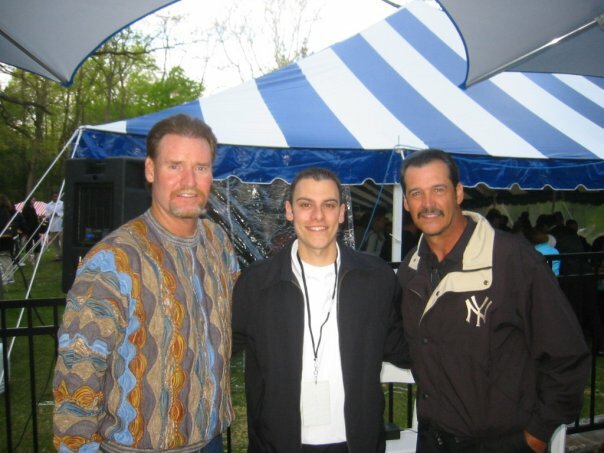 While there, I talked hitting with Don Mattingly, pitching with Ron Guidry, and drank some Miller Lite’s with Wade Boggs. I even played poker with reigning World Series of Poker Champion, Chris Moneymaker. Around 5:30 PM, a bunch of us filed into Steiner’s TV room to watch the 131st Kentucky Derby. That year’s race had a strong pinstriped presence too. The late George Steinbrenner, then still much in control of his beloved Yankees, owned the race’s 5-2 favorite, Bellamy Road. Trained by Hall of Famer, Nick Zito, and coming off a victory in the Wood Memorial, Bellamy Road was Steinbrenner’s best chance to win the storied race. He had tried four times prior and never saw any of his horses finish higher than 5th place. This was his big shot! The room I was in was packed. Everyone wanted to see how Bellamy Road would do. I couldn’t find a seat, so I leaned up against the wall on the side of the room. Moments before “My Old Kentucky Home” signaled the race’s imminent start, I felt a hand on my shoulder. I turned around and saw that the left hand resting on me was attached to the most famous left arm in New York Yankees history. It was Ford. He was there to watch the race too. “The Boss is probably nervous as all hell,” he said to me. 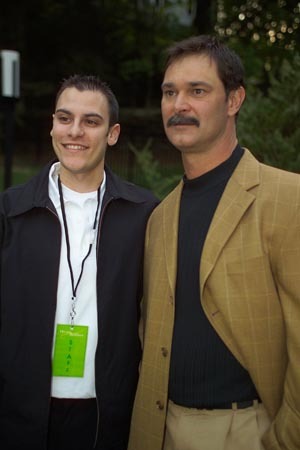 With Mattingly at the event. I tried to swallow, but suddenly my palms were wet and my throat was dry. During his career, Whitey Ford had that effect on nervous opposing batters. That day, he had the same impact on me. At the time, he was an ornery 76 years old, baseball royalty, and still very intimidating. After that, I don’t remember another person in that room besides Ford and myself. I was about to share the “greatest two minutes in sports” with the greatest lefty starter in Yankees history. The horses entered the start gate, heard the gun sound, and were off! Bellamy Road got off to a decent start, keeping pace with the early leader Spanish Chestnut. I looked over at Ford and saw him pumping his fist. He looked encouraged. I made eye contact with Ford. He gave me the same confident look he used to give Yogi Berra behind the plate, or so I imagined. He was sure Steinbrenner’s winning ways would continue that day at the Derby. I remember thinking to myself, “I wonder what it would be like to be watching this race with Steinbrenner?” I also wondered if Ford was thinking the same thing. What an experience that would be! Especially if his horse actually came out on top! Hold that thought. That’s when things fell apart. With Boggs & Guidry at the event. As the horses came down the final stretch, Bellamy Road faded worse than the 1978 Red Sox. It wasn’t meant to be. The Boss’s hyped horse drifted backwards into the pack to finish the race in 7th place. A 50-1 shot, Giacomo, ended up winning that day. With that, the “Chairman of the Board,” chuckled, patted me on the back, picked up his drink, and walked out of the room. Ford was right. Steinbrenner must have been seething after that defeat. On the other hand, I think Ford was at peace with the situation – for once, he didn’t have to deal with the boiling boss. He watched the race with me instead.